At CNN, we want to bring you the stories from around the world that really matter, but we also want to hear from you to gain a global perspective on the big headlines. 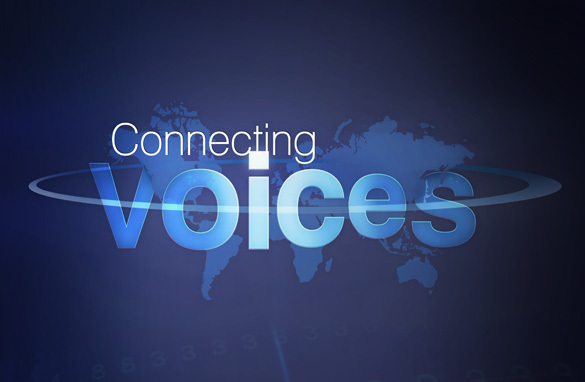 As part of a new initiative we're calling "Connecting Voices" we want to get reactions from you, the viewer, on the big news stories of the day. From global politics, sports, travel, entertainment and all things in between - we want to hear from you. If you want to be part of our "Connecting Voices" panel of viewers, please let us know below and we'll get in touch. To kick things off, here are some segments which recently aired on CNN. In a story that captured the globe, we wanted to find out what you thought about the FIFA World Cup being awarded to Russia in 2018 and Qatar in 2022. Here's what you had to say. Next up, we spoke to viewers on four different continents about how they felt with the announcement that Prince William and Kate Middleton had chosen a wedding day. Here's what people in Australia, Canada, South Africa and Malaysia had to say. Finally, we spoke to two people who live in South Korea and asked them to share with us their opinions of how they are dealing with the political and military crisis with North Korea. Here are two very different perspectives on the same story. So if you're interested in sharing your views with CNN, be sure to let us know below and we'll be in touch. The world is going crazy, I have been telling people that the problem the world is facing in the war against terror is the media, If there is no secret kept until a mission is accomplished then it will be not easy to win the battle. What is happening in the World Today is based on Greed . We the people of the US and the World . THE NEW WORLD ORDER IS HERE – If you have 5 minutes to spare then this is well worth watching. Discover the illuminati symbolism that is in front of our noses every day. The illuminati operate their evil agenda by using secret societies like Skull & Bones, The Freemasons, Bohemian Grove, The Trilateral Commission and The Bilderberg Group. The illuminati have big influence and control over the mainstream media, political parties, governments, religions, banking and big business. These people use secret societies to carry out their satanic agenda for a New World Order – a totalitarian, orwellian police state that is controlled by unelected criminally-minded beaureaucrats. Yes it sounds deep, yes it sounds crazy, but it's happening right now and it'll keep on happening... unless we do something about it NOW while we've still got the chance! NufffRespect http://www.youtube.com TAGS: illuminati symbolism symbols sign advertising skull bones freemason bohemian grove advert religion sun horus eye pyramid ra isis pentagram star 666 satan horns MI5 owl open your mind music animation morphill have to stand up and start fighting back. If we stop giving to the Illuminatis they can not go on withour our money. We have to stop giving to the Banks and the world and start controlling our own. I live in Nigeria.i'm a business man i need some small money for my business to stand if any body can help me God wil bless you.